Welcome to Kiesewetter Angus, owned and operated by the Dan and Steve Kiesewetter families. The operation is located in the gently rolling hills of West Central Illinois and the Spoon River watershed 25 miles west of Peoria, IL. Coal strip mining in the mid 1900s created an abundance of reclaimed pastures in the area that can only be used for cattle grazing. Those pastures, in addition to the native pastures that we have that are not suitable for farming, make for a perfect location to raise Angus. We have a vibrant commercial cattle industry in our area, especially for small and medium sized herds. 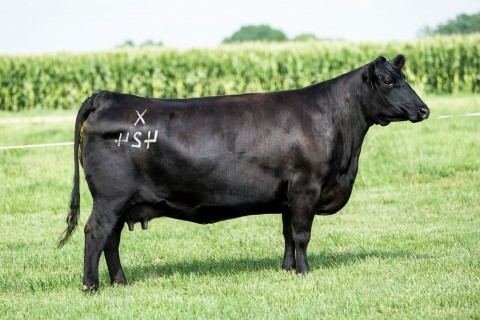 Kiesewetter Angus is your trusted source for herd building Angus genetics. We raise quality replacement heifers, bulls for purebred and commercial herds as well as a few show heifers. Our small, but select herd of Angus cattle is culled ruthlessly. At Kiesewetter Angus, we don’t chase fads – we select for fertility, longevity, structural soundness, perfect udders, disposition, balanced EPD’s and a moderate frame. Our program consistently produces moderate, functional, sound breeding stock that are built for efficient production of beef. Most of our customers are repeat buyers, who have experienced the quality stock we raise at Kiesewetter Angus. We got our start in the cattle industry through 4-H and the Illinois Junior Angus Association. Our mom’s family had a small Angus herd they purchased from breed legend J.C. McLean in Quincy, IL. Our family has six boys and no girls who were all born and raised on the farm. Kiesewetter Angus truly began when our parents purchased two bred Angus cows in 1966. 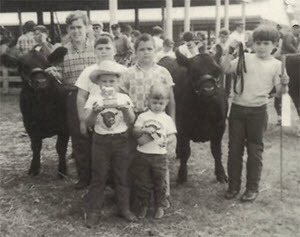 Steve then showed the two resulting calves in 1967 at the 4-H fair. Steve, the oldest brother, and Dan, the second oldest brother, both attended Black Hawk East Junior College for livestock judging. Dan went on the be a part of the the University of Illinois livestock judging team. Steve served as herdsman for Omega Farms in Michigan and Stivers Angus in New Jersey. 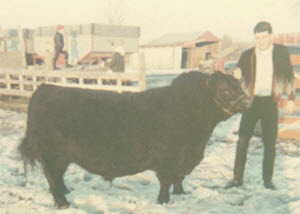 Dan showed the Grand Champion steer at the Illinois State Fair in 1977. Dan then went to Argentina for two summers in the early 1980s to prepare show cattle for their Palermo Show and Larry Cotton, and worked in Texas managing Limousin cattle ranches before returning home to focus on building the family Angus herd. We have shown our own Angus cattle on a local, state and national basis. 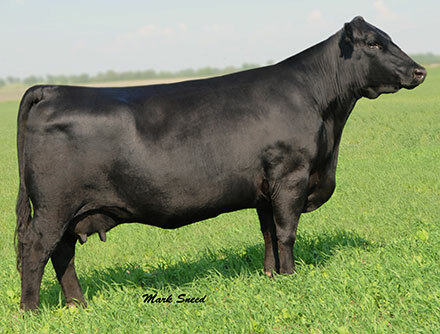 At Kiesewetter Angus we offer cattle for sale throughout the year. Our online replacement and show heifer sale is held in November. 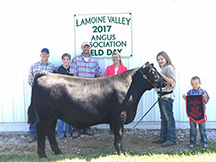 We participate in the Lamoine Valley Angus Association consignment show heifer and steer sale the Friday after Thanksgiving in Macomb, IL. We have our annual bull sale in April each year at the Fairview Sale Barn in Fairview, IL We also have cattle and embryos available throughout the year. Contact us for more information. * Click on the donor/dam to see more. * Click on the event to see more details.